It is no surprise that we are the preferred Electrical Contractor of choice for property owners and managers throughout New Jersey. With years of experience in Commercial, Industrial, & Residential wiring, you can be assured that any project we work on will be completed to the highest standards of workmanship & Quality. Have a project you want us to look at? Whether you’re in the predesign phase or ready to issue your project out to bid; we would welcome the opportunity to speak with you to discuss the finer details and provide you with a cost estimate for completing your project. 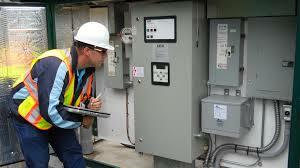 Have an electrical issue or looking to have some routine maintenance done at your property? Well you have come to the right place! ROS Electric’s trained staff of electricians and managers having been providing support to property owners/managers just like yourself for years. The integrity of your electrical system is only as strong as its weakest link. Routine maintenance and inspections are part of a comprehensive approach to proactively maintaining the uninterrupted use of your buildings electrical systems. Give us a call today and experience the ROS Electric Difference for yourself!